Key west wave runner and jet ski tours. profession guides take you on a run trip around key west. See Key West and its beautiful waters from 500 feet up! You are likely to spot dolphins, rays, or sea turtles from your heightened vantage point. Parasailing single or tandem is exciting, comfortable, easy, and safe for people of all ages. You take off and land gently right off the back of our custom boats. Parasailing can be done as a single event with reservations to be picked up from a dock that we can give you directions to or you can add it on to your already loaded with activities Key West Island Party Water Sports Experience for $ 30.00. - Allow one hour for your parasail experience. - Locations all over The Island of Key West. - Prices start at $30 per person plus tax. - Rides depart every hour on the hour daily from 9:00 am to 5:00 pm. Key West Water sports Packages - If parasailing sounds like fun but you want more, go out on one of our all inclusive water sports packages that covers all things water sports. Parasailing, Jet Skis, wave runners, snorkeling, Sailing, Water skiing, rock climbing and fun for a full day including lunch for one low price.. 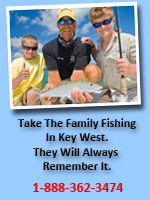 This web site is the property of The Keys To Key West Inc. All Rights reserved. The Keys To Key West is a Locally Owned and Operated Company, Members of The Key West Chamber of Commerce.